Beers in my backyard 2017 awards ceremony - Cold ones open, standby. Wow, what a year in beers it's been too. I started off this page as purely an homage to good brews, sipped in the comfort in your own backyard - not realising that by the end of 2017 I'd have tried over 55 of them with most of the notes banged away into respective separate posts for this place. Not bad for a bloke who only got back into the wonderful world of malt and hops properly earlier this year. So with the year just about up, let's look back and crown some of the wheat from the chaff, the cream from the crop and the true brews from the small glass buckets of water. Which beers reigned supreme? Lets get the very first 'Beers in my backyard' annual awards underway! -Any beer that I drank at any stage this year and wrote about here on the page is a contender for an 2017 award. You won't find me throwing a crown on something I tried 4 years ago and still get excited about to this day. So regardless if it came out only months ago or has been on the planet forever (like the Goat Beer). -All beers drunk this year are ineligible for an award next year and so on and so forth. That's fair for everything else I haven't tried yet. If this page goes long enough, I might create a masters challenge..
-Like everything in this world, size does not matter. So the tiny cans of Mornington Lager can take on the half litre bottle of Kozel. Okay, on with the awards! Unfortunately for Mr Jack, I had this recently. 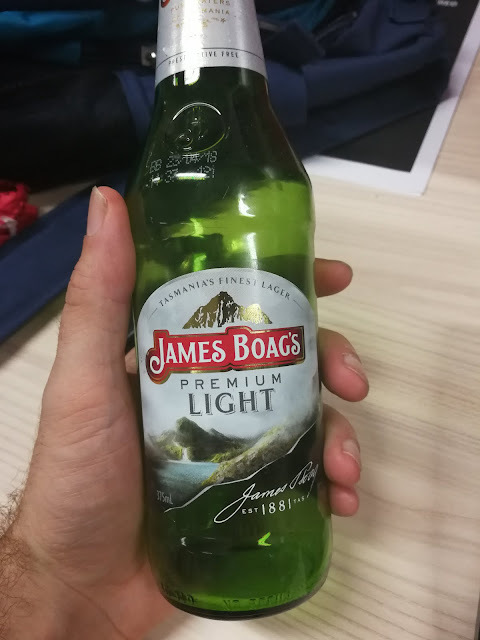 If I tried this brew that has next to no flavour flowing in and out with the tides earlier this year, I may have forgotten how disappointed I was with it. Watery to the point where you'd probably find a cruise liner in it, it was let down central from opening sip to end of brew grimace. Based on the most popular post during the year. What brew couldn't the world get enough of this year? The winner is..
Honourable mentions: Pirate Life IPA, Pirate Life Session IPA, Little Creatures IPA. I really don't have an answer for why a post about a light beer that didn't really blow our socks off would take out the winner for most popular post for 2017 but as I watched it's numbers go up, I noticed that there were quite a few page views coming from Poland while it grew. Are they massive fans of light brews over there? Was it confused for a powerful Polish recipe? What's going on here?? 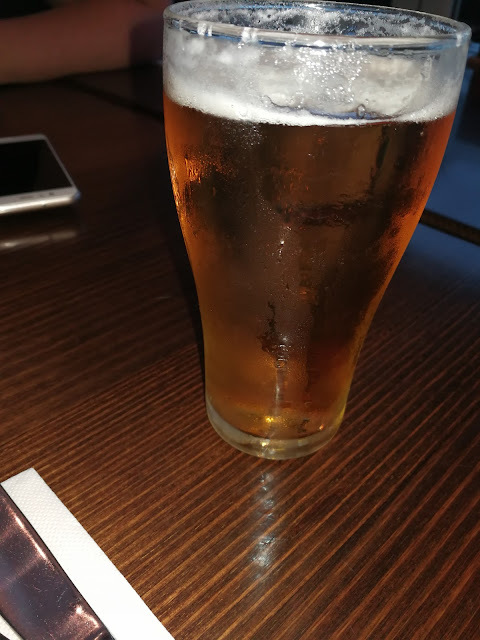 Looks like a beer and smells like one too. Which bottle of brew impressed our nostrils the most when we popped the cap/opened up the can? Let's give credit where credit is due - the 4 Pines had the strongest aroma by far as soon as we popped the top. Sharp pine danced out and filled the air along with visions of Christmas and big credit card bills. However it wasn't as pleasurable as the waft of a freshly opened Pirate (I really never thought I'd ever write) so the scourge of the seven seas takes the win in this category. Light in ABV but hopefully not in taste, which 'I'm driving' brew would rise to the top? Bridging the gap between like and brews that throw uppercuts, thankfully there were more than just one to look back on for this category. But which one held on to it's flavour the best with it's reduced ABV? As I scribed back in October: usually low ABV beers aren't that high on my testing list as I like my brews like I like my steak sandwiches - dripping in BBQ sauce meaty and full of flavor. 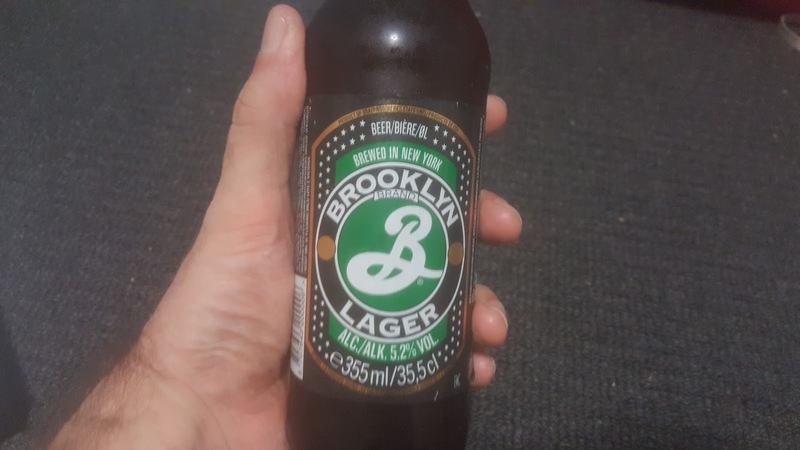 However this has nice flavor, it's nicely balanced, I enjoy the label and this arvo I quite happily polished up a couple at the in laws BBQ and it suited my steak burger sandwich and salad quite well. I think I've found my new favorite mid-strength. While I tried plenty from home, 2017 was also a great opportunity to try a few from abroad too. So which international act takes home the crown this time around? It stood head and shoulders amongst the competition this year, it was also the only international brew that gave me that 'I'm so disappointed I only bought one' feeling after I'd finished. Molson, Estrella Damm and Sapporo were a little too sweet for my tastes, Kozel did okay, Grolsch and Bitburger weren't worth the hype and Asahi got a little too 'bready'. Top job Brooklyn crew! The '17 brew that stood out because it was so different from everything else...in a tasty and pleasing way. 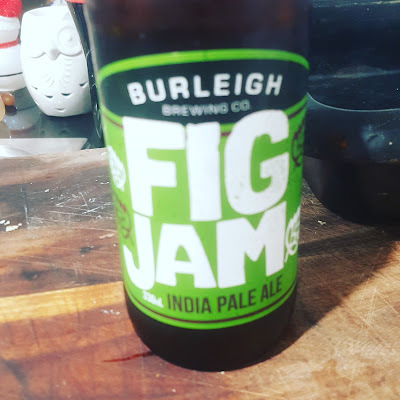 Now if I just left the IPA testing/tasting to the Fig Jam, it would have romped it in. 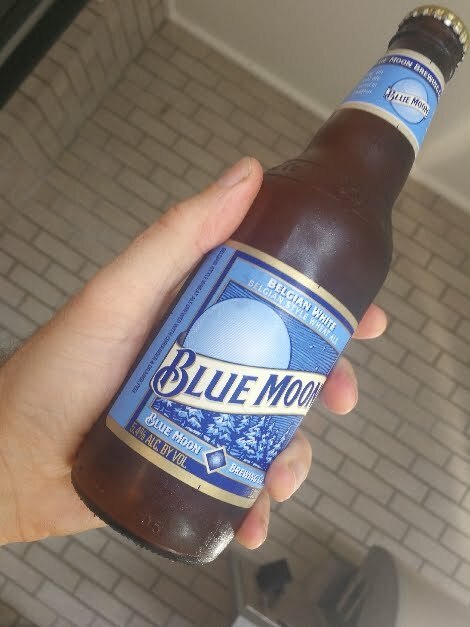 However beer for beer, nothing really surprised like the creamy oatness of the Blue Moon. Superbly drinkable, endlessly creamy, this really was a standout this year. I've mentioned at the time of reviewing that this beer was absolute dynamite...in a good way. It's robust, it's oozing with flavors and it's powerful enough for you to throw away the car keys for a week after a few sips. You will feel it after taking one of these monsters on but you'll be smiling so much, you won't care. 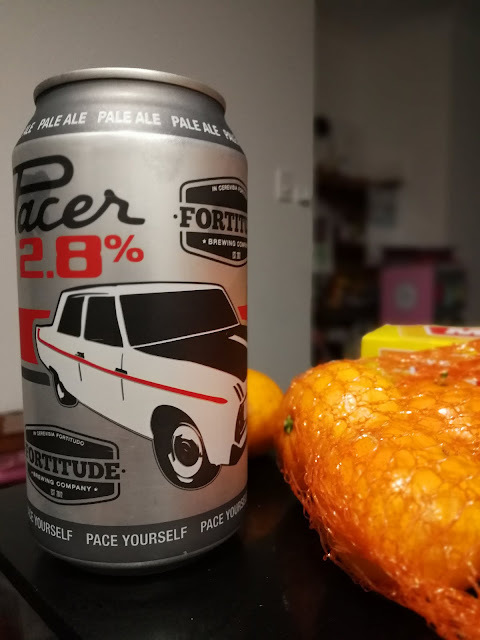 A tough call to separate these two as both of them turned out to be tasty, well balanced and drowning in the want of another straight after the first. Both hit the spot, both very memorable, both I highly recommended to mates. The only fault you could possibly find here? The price of the Pirate - but that does not change how good this beer is. Too tough a call really, so they get to shake hands and take the top honor together. So there you go, what a year and initial ceremony it's been. Now that we've taken an enjoyable stroll through all the blogged beers this year, it's time to rest up, recharge and see what 2018 in the beer world holds. Thanks for swinging by our awards night and see you soon for more beer chat, right here, same beer channel. It's been a while between (home)brews. 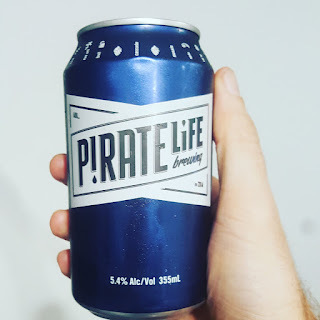 After the thrilling success of the Citra Warrior IPA, this time I'm turning my attention to replicating a beer that went down an absolute storm when I tucked into it the first time - The Pirate Life Pale Ale. But would my replicated pirate plunder proudly on the seven (beer) seas or sink before it even got out of the docks to cause mayhem up and down the coast? Let's find out! And it truly is a sweet (few months early) Christmas after discovering the Brewdog reicpe book. Radio announcer, father, writer, wagon fan and lover of red wine, beer, coffee and random adventures.